Leigh Sinclair delivered a day of painting, printing and collage to a full house of eager learners on Saturday 8th September 2018. Leigh showed the class his signature technique of a paint/print combo to great effect with every attendee producing something they were proud of. Friday 3rd August saw Eamon Colman return to Oriel Q Gallery, Narberth to open his new exhibition 'THAW'. This show has been highly anticipated and did not disappoint. 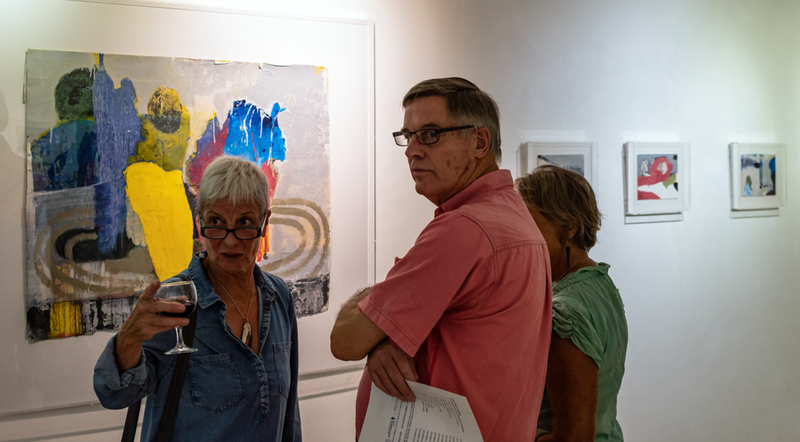 Below are some images of the Opening; many thanks to David Street for documenting the evening. 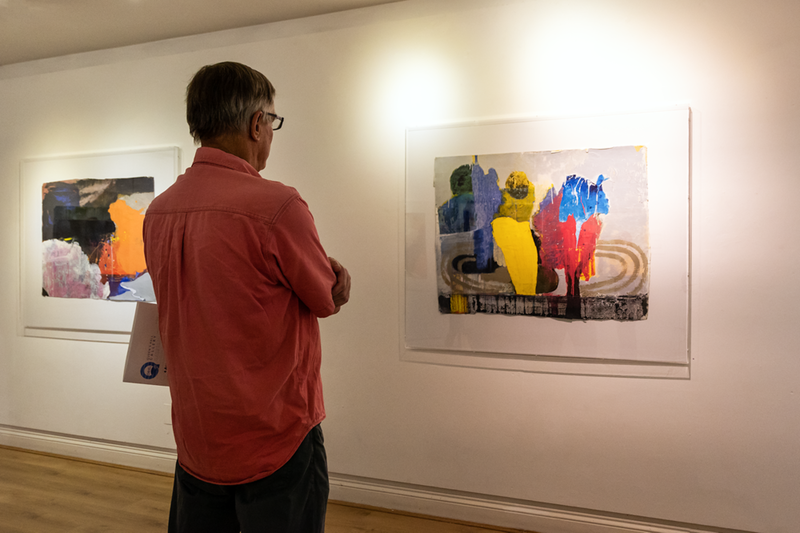 Please click HERE for more information on Eamon's current exhibition at Oriel Q; HERE for details on his forthcoming talk at Oriel Q on 15th September 2018. Exhibiting alongside Eamon Colman is Leigh Sinclair with his bold semi-abstract print paintings which play around with allegory, pattern line & colour. Please click HERE for more info. Georgina Hughes is also exhibiting her photographic series 'Memento Mori' on The Stairs here at Oriel Q, her photographs playing close attention to the detail and exquisite beauty in the minutiae along with personal significance within objects. please click HERE for further details.